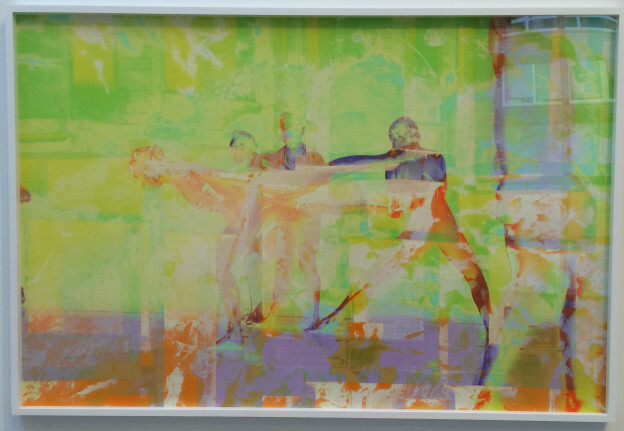 James Welling, 7809, 2015. Inkjet print. 42 x 63 inches. Courtesy the artist, David Zwirner, New York/London and Peter Freeman Inc., Paris. The Institute of Contemporary Art presents a conversation between James Welling, renowned American photographer; Kaja Silverman, Keith L. and Katherine Sachs Professor of Contemporary Art at the University of Pennsylvania; and Alex Klein, Dorothy and Stephen Weber Curator at the Institute of Contemporary Art. James Welling is for us today what Gustave le Gray was for the nineteenth century and Edward Steichen was for the twentieth: an artist located at the intersection of photography and painting, who is both profoundly attached to the sensory world, in all of its specificity, and deeply interested in the pictorial possibilities opened up by different technical processes, ranging from the contact print to digital “layering” and inkjet printing. This conversation will focus primarily on Welling’s recent work, particularly The Glass House, Meridian, Andrew Wyeth, Choreograph, and Chemical Photographs. Welling is also Area Head of Photography at UCLA, and Visiting Professor of Photography at Princeton. A reception in advance of the program will take place at 5:30pm. This event is sponsored by ICA, the Department of the History of Art at the University of Pennsylvania, and the Mellon Foundation. It is part of an ongoing series of conversations between Kaja Silverman and artists who work in some way with photography and/or projected images.